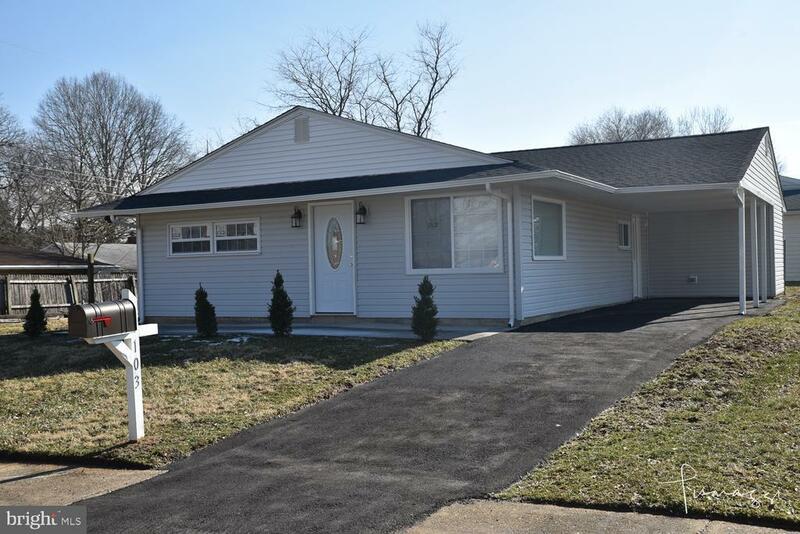 Newly renovated ranch home located on a large corner lot & within the NEWARK CHARTER SCHOOL 5 Mile Radius! This open floor plan home boast with a large kitchen and New everything! NEW roof, fascia, gutters, siding, windows, HVAC, water heater, interior and exterior doors and more! This home has an attached carport to save you from scraping ice off the cars in winter along with a 4 car driveway. The kitchen has granite countertops, new cabinets and all new stainless steel appliances. The home features an extra large storage/workshop style shed with electric! The home is move-in ready and waiting for your personal touch to call it home.